Two of the most-trusted names in kitchen appliances and modern conveniences, Breville and BRITA, have come together to produce a kettle which not only filters but boils too. 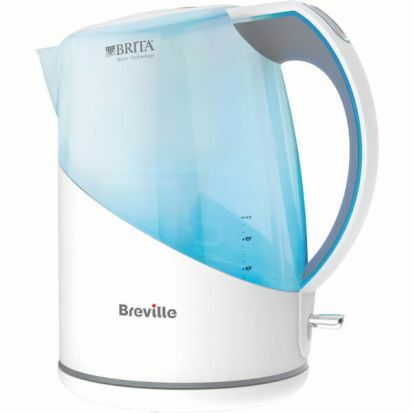 Using Brevilles knowledge of building kettles to complement modern living, and BRITA’s expertise in water filtration; the Breville BRITA Filter 1L Jug Kettle is a fantastic addition to any kitchen. Using innovative Maxtra cartridges, the kettle is capable of boiling up the freshest, cleanest-tasting and purest cup of water.